An early morning crash along eastbound Interstate 10 left one child dead and several others injured. The driver was arrested and booked into jail for manslaughter and other related charges. On Tuesday, October 17, 2017, at about 6:30 a.m. a Chevrolet Tahoe, driven by Eric C. McMorris, 31, of Litchfield Park, Arizona, was traveling eastbound along I-10. Kodie L. Johnson, 23, from Litchfield Park and five children were also on board. Witnesses told investigators that the Tahoe was driven in a reckless manner by speeding and swerving all over the road. McMorris eventually lost control of the vehicle in the area of milepost 68.7, near Tonopah, Arizona. The vehicle traveled into the median, then back across the traffic lanes and ultimately rolled over into a dirt area. Kodie Johnson and two children were ejected from within the vehicle during the collision. Johnson and one of those children ejected were not properly restrained and sustained serious injuries. Although the second child was wearing safety restraints, she was ejected and sustained fatal injuries. Eric McMorris, Kodie Johnson and four children were transported to valley hospitals for treatment of their injuries. Upon his release from the hospital, McMorris was arrested and booked into the Maricopa County Jail on charges for manslaughter, aggravated assault, and endangerment. State detectives are investigating and additional charges may be forthcoming. A serious rollover crash on Interstate 10 left several people, including children, being airlifted to hospitals early on Tuesday morning. 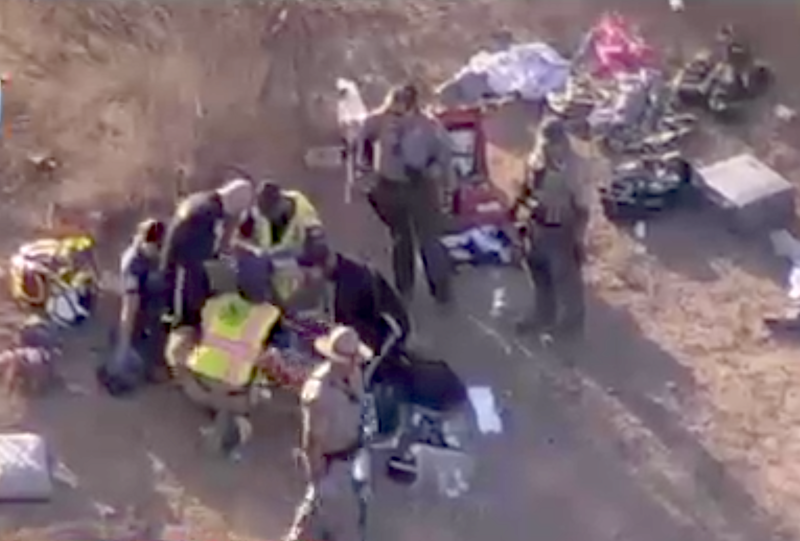 Seven people were in the vehicle, near milepost 68 on I-10 in rural La Paz County. The conditions of 3 of the occupants were not mentioned by the Department of Public Safety. The other 4 were listed with a woman suffering minor injuries, two children suffering minor injuries and one child suffering serious injuries. 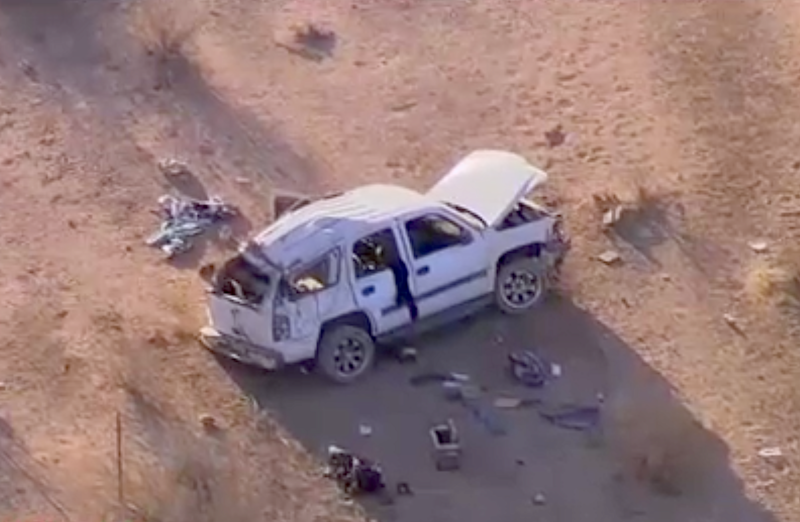 La Paz County Sheriff’s Department, Arizona DPS State Troopers, Native Air, Care Flight and other agencies responded to the scene. May God be with them. Prayers for all involved, and also for the first responders. So sad I will be praying for the family involved , also my heart and condolences go out to you guys , so sorry for your loss . I want to know why charges have not been brought forth for Kodie Johnson as well. Those children were not properly restrained and there were drugs on board. WHO TRAVELS WITH CHILDREN AND DRUGS! Google Erick McMorris. He’s a disgusting individual. This man is not a monster nor evil… I know this man! Personally… Those kids are my nieces.. The paths we walk in our lives r not always the rite ones all the time. I don’t understand what drove him to using any type of drug.. He has always been so against them. He was a single father who loves his kids dearly.. Nothing in this world could ever matter more to him. He worked very hard to give his children the best of everything.. Self made man .. His boxing career.. Owned his own biz and was a Daddy.. Drugs r the worst and they only destroy the precious things in this world. Will only transform what once was genuine pure and beautiful into something that isn’t anything uve ever imagined in the darkest place in ones mind. Im praying for u Eric… And those girls.. ..